Northeastern residents are being urged to have their say about the future of public transport, including the possible extension of the O-Bahn to Golden Grove. The State Government has embarked on a community consultation program for the North East Public Transport Study, which will assess the potential to extend O-Bahn services from Tea Tree Plaza to Golden Grove. 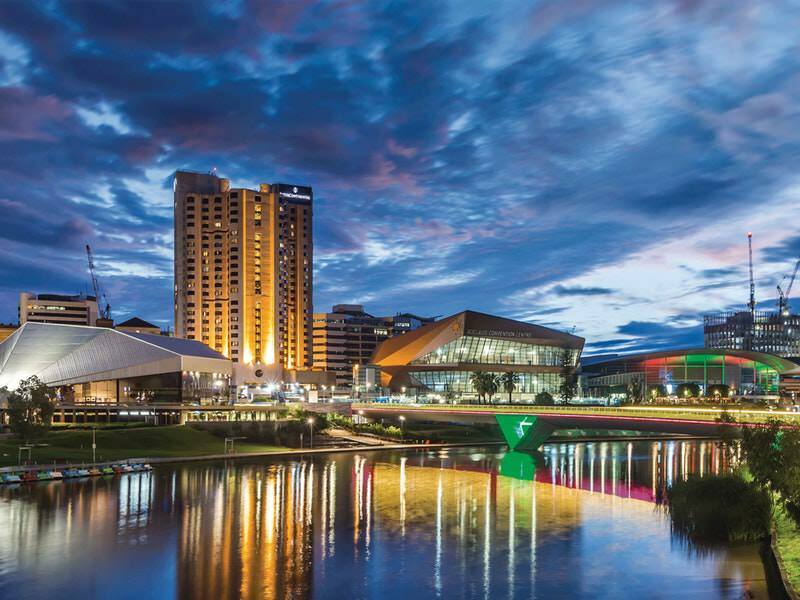 This includes options such as priority bus lanes similar to those installed along Hackney Road and a dedicated off-road corridor like the existing one along the River Torrens. Transport Minister Stephan Knoll said the O-Bahn Extension Feasibility Study was part of detailed planning work to improve public transport for north-eastern suburbs including Golden Grove, Wynn Vale, Redwood Park, Surrey Downs, Modbury Heights and Ridgehaven. Mr Knoll said O-Bahn bus services were the most popular public transport services in Adelaide, carrying almost twice as many passengers on average each day than the most popular rail services. Funding was provided in the State Budget for a new park ‘n’ ride facilitiy at Paradise and expanded parking at Golden Grove. Mr Knoll said the transport study would explore other opportunities to provide more parking at Paradise, Golden Grove and Klemzig to cater for increasing passengers on the service. This will involve analysing how the three existing interchanges at Paradise, Tea Tree Plaza and Klemzig operate. The study is being undertaken by the Public Transport Project Alliance, a partnership between the Department of Planning, Transport and Infrastructure (DPTI) and three international construction and engineering companies — McConnell Dowell, Mott MacDonald and ARUP. The study started last month and will finished towards the end of 2019. Mr Knoll said the Marshall Liberal Government had created the South Australian Public Transport Authority (SAPTA) to reform Adelaide’s public transport network. “Through SAPTA and the reform process we want to make public transport, faster, more efficient and more customer focussed,” he said. Mr Knoll said the O-Bahn already provided an excellent service. “This study will explore how we can build on or even extend that service to Golden Grove,” he said. Local Liberal MP Paula Luethen said people wanted improved public transport in the northeast. “I encourage my local community to get involved and have a say about their views on better public transport solutions,” she said. This included whether they wanted the O-Bahn expanded to Golden Grove and suggestions on expanding the Golden Grove park ‘n’ ride. Tea Tree Gully mayor Kevin Knight said he was a regular user of public transport, especially the O-Bahn. “I welcome more and better travel opportunities for residents living in the City of Tea Tree Gully,” he said. Mr Knight said the extension of the O-Bahn and expansion of park ‘n’ ride facilities at Golden Grove and Modbury were key election promises for the Marshall Government. “I am keen to see them deliver on these promises,” he said. Mr Knight said anything which improved convenience, travel times, reliability and access to public transport was welcome. “The value of improved mobility on social inclusion and community wellbeing should not be underestimated,” he said. Mr Knight said council staff were working closely with DPTI and its consultants. “I am looking forward to seeing how the study progresses and discussing the final report,” he said. Mr Knight encouraged all residents to have their say during the consultation period. The launch of the study last week came as community information sessions were held by DPTI on the $20 million upgrade of Golden Grove Rd between Surrey Downs and Golden Grove. I suggested a bus lane on Golden Grove Road and a bigger bus interchange as the current one is not ideal for buses to get in and out of easily. Good Idea actually. Most parts of Golden Grove Rd should be feasible enough to be widened and accommodate either a standard bus lane or a 'slipformed' guided lane like the ones in the United Kingdom. Is Golden Grove Road heavily congested during peak hour? I don't go there often. If not, I don't see the need to build dedicated bus infrastructure so far out of the CBD. It's better to spend the money on bus lanes on other routes. It gets busy, but it doesn't really slow down. It would make more sense though if it was part of a longer term plan to have it extended either via track or bus lane all the way through to Elizabeth. Adelaide needs to start thinking more in terms of major transport hubs with more interconnections. Is there even a reserved path for a guided track past Modbury? It could fit along McIntyre Road and at least parts of the immediate east of Bridge Road. If there is no dedicated reserve for a guided track, surely they would just go with a dedicated bus lane. The reason for the question is, if there is a dedicated lane, assuming they go with just a bus lane, would the bus then be required to travel at the posted speed limit for the rest of the traffic on other lanes? If this is the case, it is a bit of a push to call it an "extension of the Obahn". Would a guided track even be feasible alongside an existing road reserve? Admittedly, I am not really familiar with this area. I imagine it would go this route along Golden Grove Road. Looks logical. But again, if it just travels along an existing road, even on a bus lane, how can they really call it an "extension of the Obahn" ? It's not really a BRT in this case is it? I imagine this stretch may end up similar to the Brisbane buswsys, which operate on seperate bus roadways, without the guided tracks. Judging by the width of the Liverpool-Paramatta T Way it needs at least 10m wide space. Golden Grove Road has a creek or road reserve along most of that stretch and the Grove way is wide enough to fit the o-bahn also. 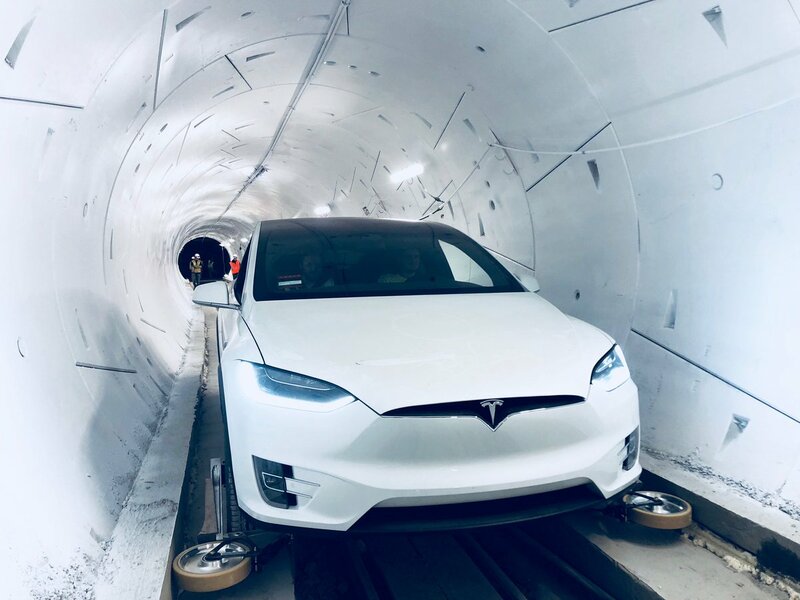 The track and guide system in Elon Musk's new tunnel looks familiar. There’s a well-established trope among Silicon Valley firms which states every now and again, some ‘agile’ start-up will accidentally invent a commonplace product or service and present it as a revolution in the field. More often than not, they stumble across something as innocuous as the city bus, but Elon Musk‘s The Boring Company has seemingly discovered a more specific concept. The company’s swish new video showcases its proposed loop system, which aims to reduce urban traffic by providing underground rails for road vehicles. Cool! Everyone loves a tunnel. The thing is, the whole road-vehicles-on-rails concept has already been implemented by, uh, Adelaide. Over 30 years ago. 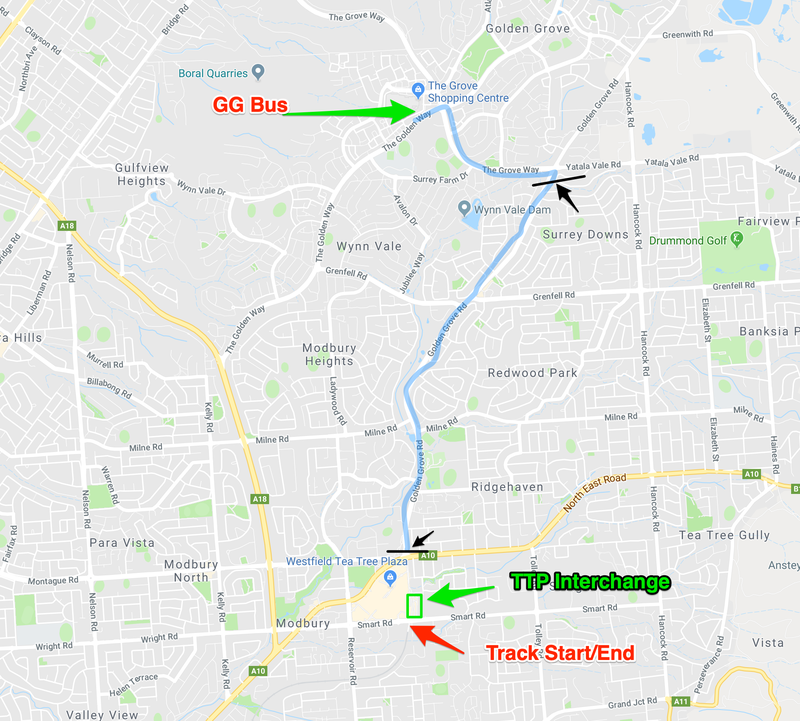 Upon closer inspection, it appears that The Boring Company’s project borrows heavily from the South Australian capital’s O-Bahn system, which has channeled city buses onto purpose-built concrete track since 1986.